FTC attorney Lisa Schifferle advises callers on how to handle unsolicited phone calls. FTC Consumer Education Specialist Ari Lazarus provides statistics about Social Security scams. Lisa Schifferle provides information about technology scams. AARP National, along with experts from the Federal Trade Commission, hosted this Access Live event to discuss imposter scams. 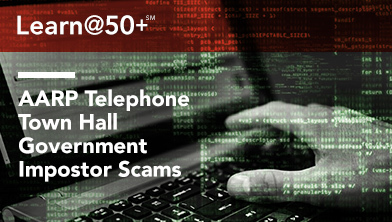 The hosts provided helpful information to consumers on how to detect and avoid these scams and explained methods of spoofing, including how caller ID’s appear. Other topics discussed on the call include Medicare scams, technology scams and the grandparent scam.